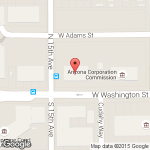 I am licensed in Arizona, how long do I have to notify the State Boards Office of a change in employment? If you are licensed with the Funeral Board in Arizona you must notify the board within 10 business days after a change in employment occurs. The notice shall include the names of the former and the new establishment. The notice of change form is located under "Licensing Information", "Forms", "Employment/Address Change Form". If you are licensed in Arizona as the Responsible Funeral Director of a funeral establishment or Responsible Cremationist of a crematory, you have 5 business days to provide the Board notification of this change. The notice of change for a Responsible Funeral Director is located under "Licensing Information", "Forms", "Assumption of Responsibility-Funeral Director" or "Assumption of Responsibility-Cremationist". The form can be completed and submitted online. Does the AZ State Board of Funeral Directors and Embalmers regulate Cemeteries? No, cemeteries are under the jurisdiction of the Department of Real Estate. The board has no regulatory responsibilities regarding cemeteries. The phone contact for the Department of Real Estate is 602-771-7799. Does the Board of Funeral Directors and Embalmers regulate tissue banks and donor organizations? No, this oversight falls under multiple government agencies. Does the State of Arizona have reciprocity? No. Regardless of where an applicant is licensed he must first be able to meet all State of Arizona licensing requirements.